A Midas Touch Estate Sales!! We will come out and meet with you to evaluate your property and your particular situation for the best possible solution customized for you and your needs. 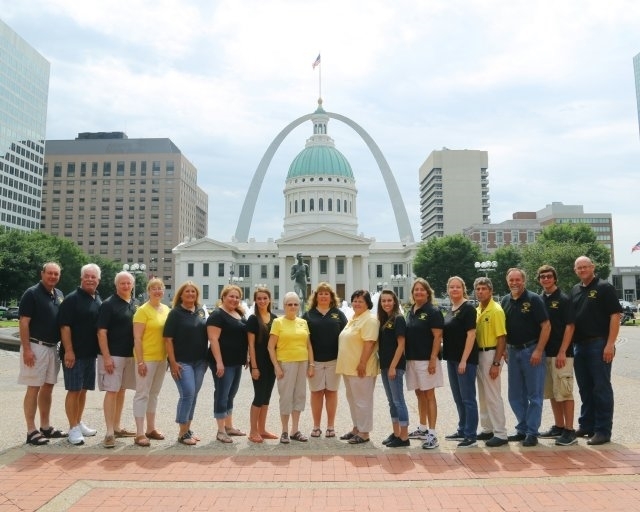 We are a family owned and operated company offering estate and moving sales and auctions throughout the St. Louis metropolitan area. We understand that relocating, downsizing, and liquidating an estate can be an overwhelming challenge and we are sensitive to your needs. We tailor our services to fit your needs --- customer service is our priority. We handle the entire sale including organizing, categorizing, displaying, advertising, staging, researching, pricing, merchandise control, check out, collecting bids, marketing, and staffing the sales to protect your assets. Whether big or small, we treat each family and home with first class service and a personal touch. If you live far away or can't invest the time or if the process is too emotionally challenging, our experienced, professional staff will minimize your stress and maximize your receipts. Midas Touch Estate Sales Co., LLC has been in the estate liquidation business in the St. Louis metro area since 1979. We have earned a reputation for quality sales with personal and professional services. We offer a one to four day tag sale or auction, depending on the size of the estate. Before you throw anything away, we ask that you consult with us. Many people toss things thinking they have no value. We believe that there is a buyer for almost everything. We treat your merchandise the way we would want you to treat ours. We have Certified Personal Property Appraisers on our staff, each with specific areas of expertise to ensure that items are priced to generate maximum profit.